Jojoba oil is very similar to the natural oils that our bodies produce on a regular basis, making it particularly effective as a moisturizer. It’s easily absorbed and leaves the skin feeling soft and supple, and is popular with masseuses because it’s non-greasy and smells nice. It is a natural moisturizer that is particularly effective for treating dry skin, leaving it soft and silky, and a little goes a long way. 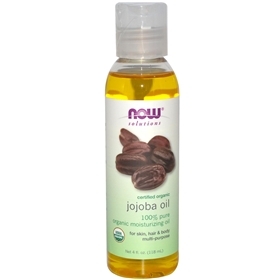 Jojoba oil helps create a more youthful appearance for people with aging, wrinkled skin.